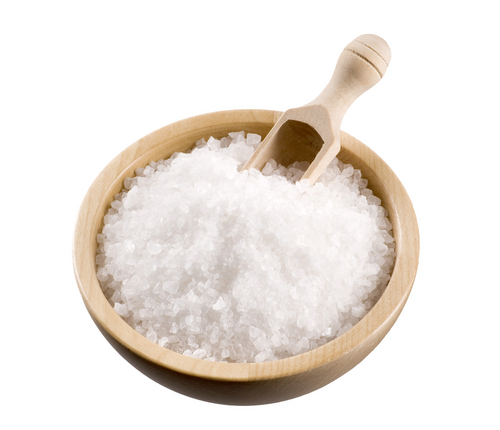 It has become common knowledge that consuming too much sodium is unhealthy and leads to high blood pressure. But a new study published in the American Journal of Physiology -- Renal Physiology has found that consuming too little sodium is also damaging. According to researchers from both the University of Heidelberg in Germany and the University of Aarhus in Denmark, children born to women who consume too much or too little sodium during pregnancy can end up with poorly-developed kidneys, which in turn can cause a lifetime ofheartproblems. Building upon previous studies that identified a link between excessive sodium intake and low birth weights, high blood pressure, and kidney problems, the new study, entitled "Both High and Low Maternal Salt Intake in Pregnancy Alters Kidney Development in the Offspring," identifies similar developmental deficits from too little sodium intake. Three groups ofratswere fed either low, intermediate or high sodium diets during pregnancy and lactation. Four weeks after birthing their litters, researchers separated the offspring from their mothers and fed them all an intermediate sodium diet. The team then tracked and studied kidney development among all the offspring and compared their findings among the various sodium groups from which the rats' mothers had come. Upon analysis, it was revealed that rats who came from mothers in either the low or high sodium groups had lower glomeruli levels between the crucial developmental period of 1 - 12 weeks. Glomeruli is the main structural unit of the kidney, and is responsible for filtering the blood and creating urine waste. Rats from low sodium mothers had lower levels of FGF-10, a crucial genetical signal responsible for kidney development. Critical growth factors that determine cell lineages, tissue patterning and cellular proliferation were also lower in rats that came from the low sodium group. It is important to note that not all sodium is the same. Processed tablesalt and chemical salt derivatives like monosodium glutamate are the true culprits that bring about heart disease, and you typically want to avoid these.